The pincushion flower heads of deep ruby-red look superb among damp garden borders and in in moist soils near water. 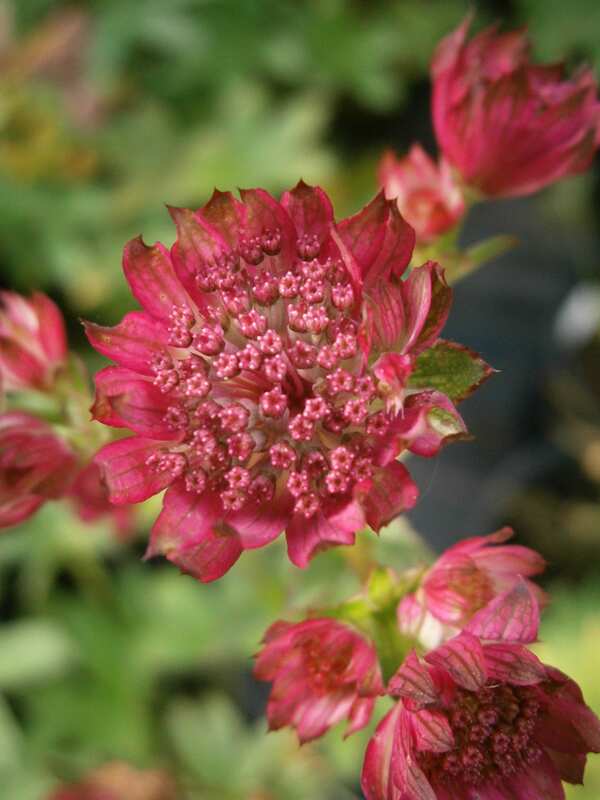 Astrantia ‘Venice’ is more vigorous than other varieties forming attractive clumps of palmate foliage which is dark green and has purple tips. The long lasting summer blooms make an interesting cut flower for flower arrangers. Hardiness zone H7. Cut back hard in early spring and apply a mulch. Astrantia are greedy but flower beautifully if fed. Divide every four to five years. Propagate by division. Lovely plants and excellent service. Two days between order and delivery (and I ordered on a Sunday). I’ll be ordering again.